The Campus Cycle Hub will now be running monthly cycle clinics on the last Wednesday of every month. 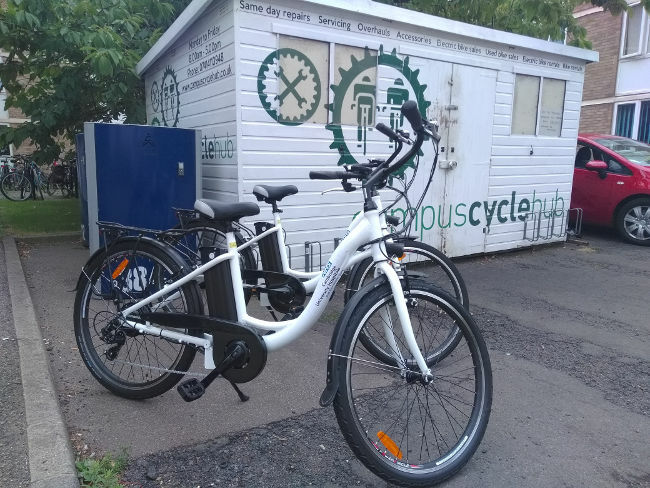 These will be run in the area outside the back of the concourse from 11:00-15:00 and will be open to anyone at the campus who has a problem with their bike or just wants some advice about bike maintenance, repair or cycling in general. CUH has an increasingly large community of cyclists and on-going work is being carried out in order to make the site as user friendly as possible. This includes increasing the number of bike racks in key areas and providing valuable discounts on bikes and accessories for those who use their bike to commute to work.